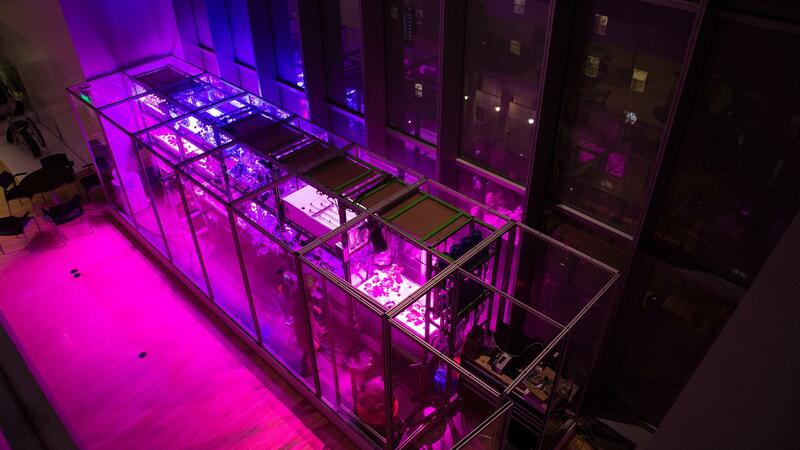 The OpenAg™ Food Server is a shipping container-sized, controlled environment agriculture technology that can be built to utilize hydroponic or aeroponic technology. It can serve as both a research platform for simulating precise environments at scale (see Flavor, environment, and the phenome) , and a production unit for any specified crop of interest. It is intended to produce larger quantities of food than a Personal Food Computer and appeals to interdisciplinary researchers as well as small-scale cafeterias, restaurants, and boutique operators.